On Saturday May 31 and Saturday June 7, Friends of Petrie Island, Ecology Ottawa, Ottawa Riverkeeper and other committed volunteers came together to clean up and protect the wetlands of Petrie Island. 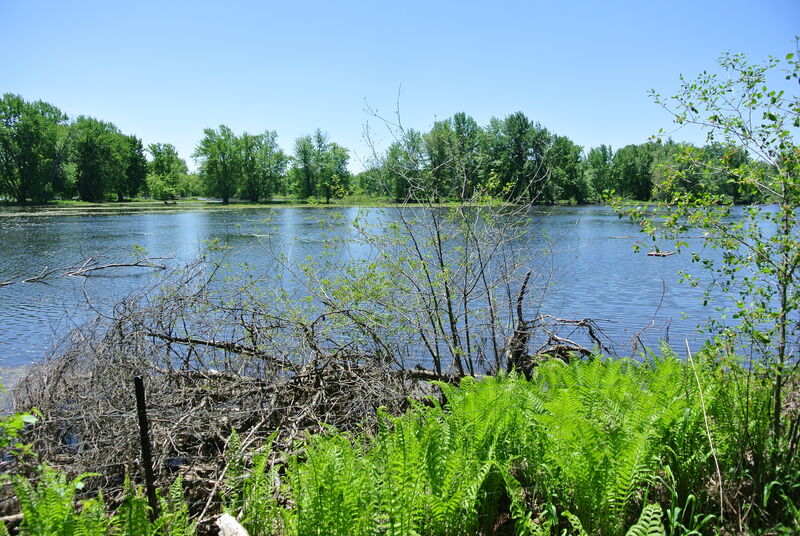 One of many islands in the Ottawa River, Petrie Island constitutes a local treasure full of beautiful green colours, blooming flowers, turtle habitats, freshwater ponds and a wide diversity of animal species. Our volunteer team collected garbage along the shoreline of the island so that these wetlands remain clean and native vegetation and wildlife can flourish. After several hours of energetic teamwork each day, our garbage bags were filled with plastic, Styrofoam, and lots of other waste, much of which had washed up from the Ottawa River. As a reward, our volunteer team got to enjoy a vegetarian BBQ in the sunshine, surrounded by the beautiful natural landscapes of the island. We also had a few special visitors. André Miller from the Ontario Archaeological Society, who told us about island artifacts and archeological history; Marie-France Lalonde, provincial Liberal candidate for Ottawa- Orléans; and Royal Galipeau, Conservative MP for the same riding. We would like to thank everyone who took the time to help with our clean-up, and who showed they care about keeping Petrie Island a unique place to enjoy.